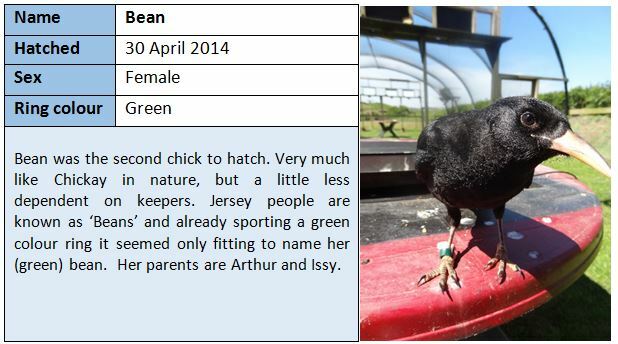 We announced the hatching of four chough chicks in April and May. 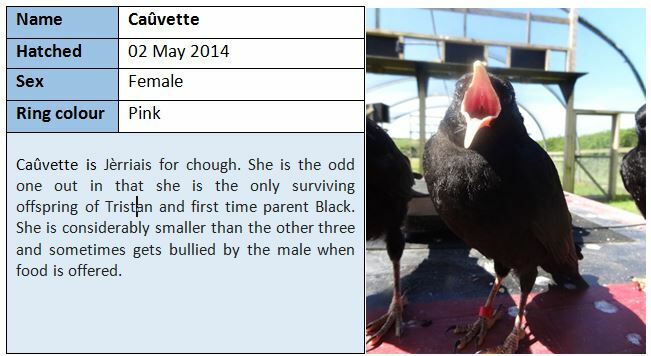 DNA results, from blood samples taken in May, came back this month showing that we have one male and three females. We had guessed as much based on body weights when they were a few weeks old. Males tend to be heavier and of a slightly larger build. In addition to this we built on their individual identities by giving them names. 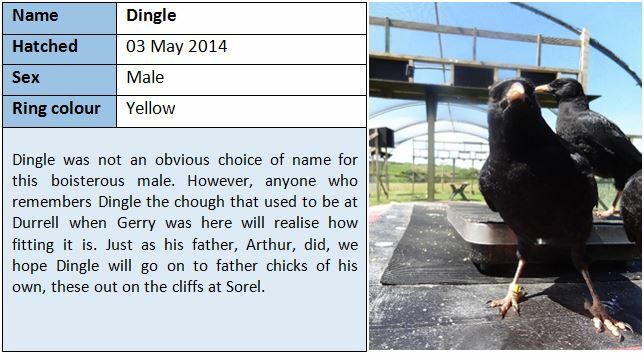 We intend to name any chicks reared for release on an alphabetical basis and with relevant names. 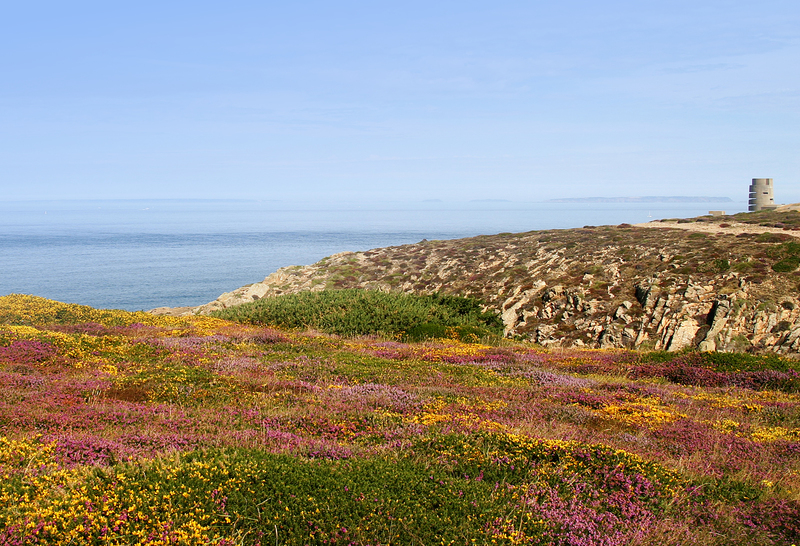 They might not seem obvious choices to a non-Jersey resident but we think they are fitting names. 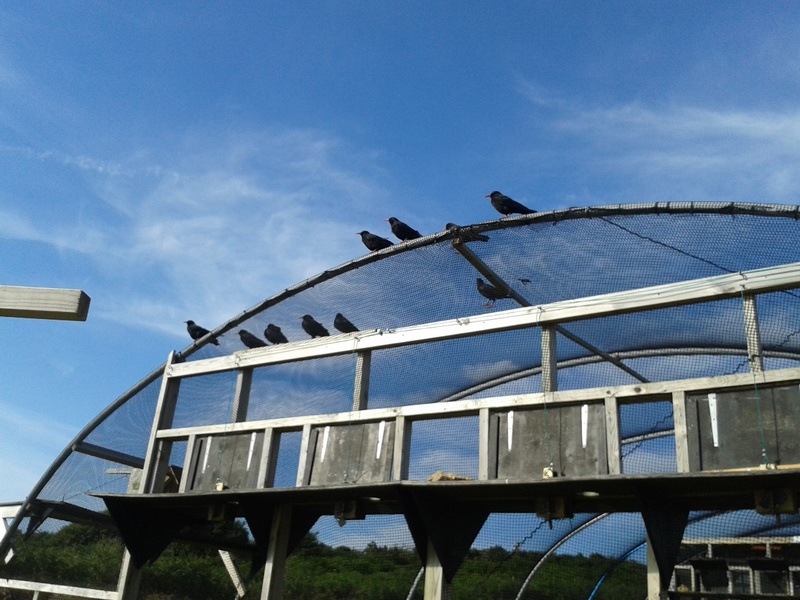 This is, indeed, promising news and the picture from Liz of a ‘chough-laden’ flight pen roof is a most heartening sight. Still a long way to go but what a difference a year (and good weather) makes. Excellent progress. I look forward to hearing how the juvs get on.